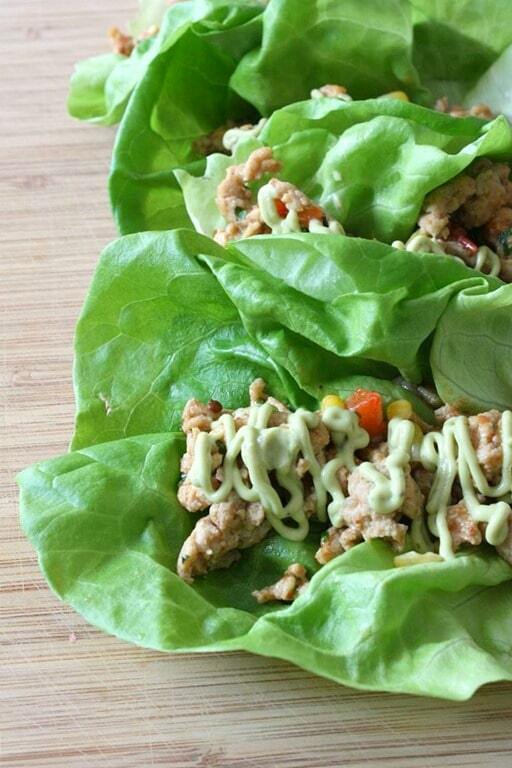 These chipotle chicken lettuce cups are the perfect lunch or dinner. Delicious ground pork jazzed up with chipotle peppers, spicy brown mustard, red bell peppers, and corn all wrapped up in crunchy bibb lettuce leaves. Then to top it off it’s drizzled with avocado sour cream. I often settle for less than delicious (think boring) when it comes to lunch. Since I leave for work around 1:30 pm I don’t like to spend too much time in the kitchen right before I leave. However, I have found my new favorite lunch dish and I can thank Saucy Mama for that. They asked me to participate in their “Skinny Mama – Cooking with Mustard” contest and I was super happy to play along. I love their products and I’m a sucker for a fun contest. I decided to play with their chipotle mustard since I have recently fallen in love with chipotle. It’s a love affair I don’t see going away anytime soon. Part of the contest rules was that the dish had to be healthy. So I knew I wanted to stay away from anything with too much fat or calories. 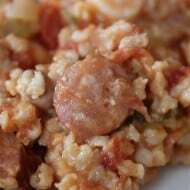 What I ended up with was flavorful, fresh and super simple to throw together. Melt and heat coconut oil in a large skillet over medium heat. Add red bell pepper and cook for 3 minutes until it starts to soften. Add diced chipotle pepper and sauté for 1 minute. Add in ground chicken and cook until no longer pink. Add in corn, chipotle mustard, lime juice and cilantro. 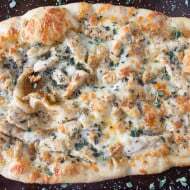 Let ingredients heat through and add kosher salt to taste. 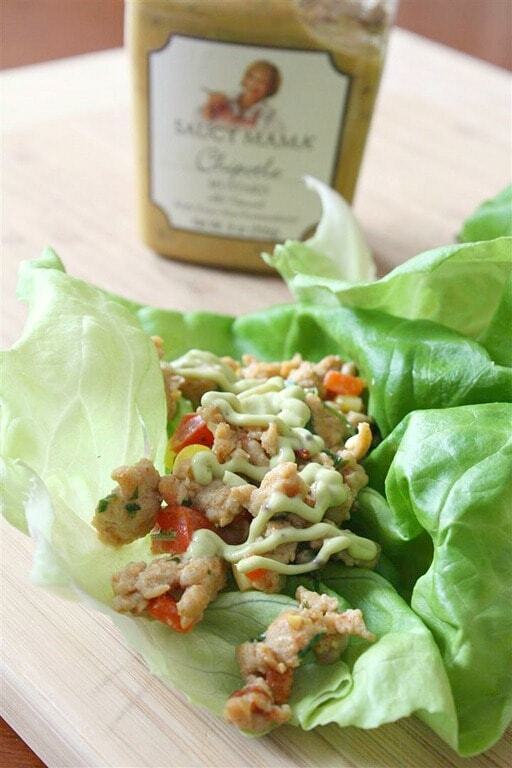 Serve warm chicken mixture in bibb lettuce cups. Top with avocado sour cream. Add avocado, sour cream, sriracha, lime juice and kosher salt to food processor. Blend until smooth. Looks delicious! I’m an even bigger procrastinator than you are! I’m finishing my post up too. PS: I used the chipotle mustard too. We are two peas in a pod, my love! These are great!!! 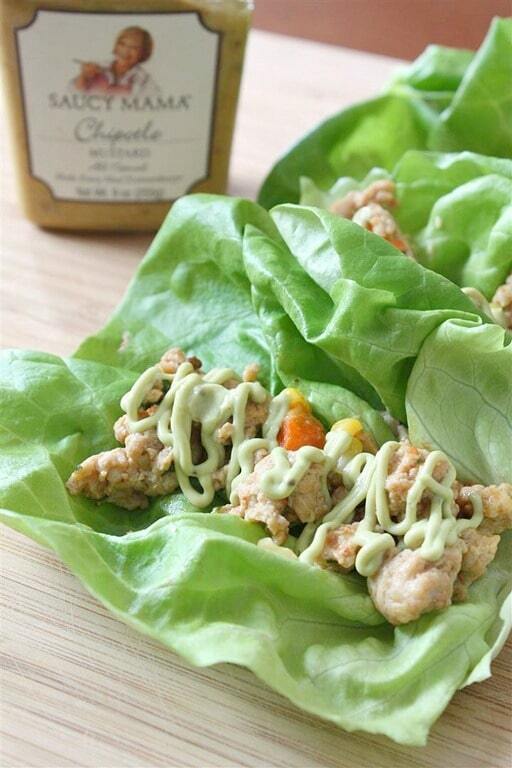 I love lettuce wraps, and chipotle….so these are perfect!! 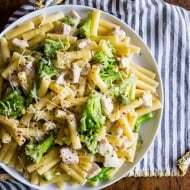 These look so great, I’m always looking out for healthy lunch alternatives and this looks like it has more than enough protein to keep me going! I just bought ground chicken on sale last week and popped it in the freezer. Can’t wait to try these next week, they look and sound delicious! These look so good, awesome flavors!! And I’m dying over the avocado sour cream! Delicious lettuce cups, the flavors with chipotle are terrific! Oh my! The only thing I can’t have (per my stupid allergy list) is the sour cream… and I can buy ‘fake’ sour cream, so it’s all good! This looks AMAZING. Thanks for posting. YUM! 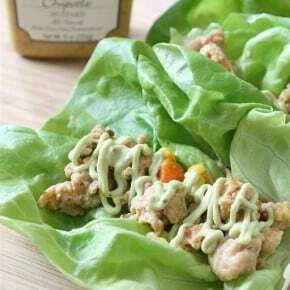 Simple and easy to make recipe the Chipotle Chicken Lettuce Cups. I always kind of skimp on lunch too since I like to focus all my energy on dinner. I just can’t be superwoman and make a huge elaborate lunch meal and a dinner meal in the same day.